Zoran Poposki's video performance Here has been selected by the Museo de Arte de Ponce (MAP) in Puerto Rico to be shown at Museo de Arte de Ponce in Plaza las Americas MAP @ PLAZA, San Juan. As a preview to the symposia Encounter with the Art Blogs: Puerto Rico and Beyond, MAP will screen Refresh: Projections of New Media at MAP. Refresh will include artists from Puerto Rico, USA, Canada, Germany, and Macedonia. The concept of Refresh comes from the browser's refresh button, which allows a static page to update information that has changed. Refreshing is tantamount to restoring strength, animation, and stimulation. MAP is, in addition to renewing its building and reinstalling its collection, "willing to send a new signal: a museum open to new ways of connecting with a young community of artists and the public," as stated by MAP's Assistant Curator Maria Arlette de la Serna, coordinator of this event in collaboration with Carmen Olmo-Terrasa. “The selected videos address the concepts of new and change—as regards identity or politics or a discourse on historical antagonisms,” says guest artist Arnaldo Román. “The vast majority of artists, especially those in Europe, focus on topics that are related to their current historical situation, change, and globalization, and how it has affected the state of things, for better or for worse.” The public can see Refresh at MAP@PLAZA from August 1st through August 6 with the current exhibition Museo de Arte de Ponce: Fifty Years looking to the Future. 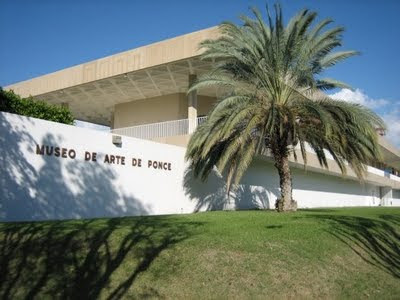 Museo de Arte de Ponce or MAP is the largest art museum in the Caribbean and widely regarded as one of the best in the Americas. It houses the finest collection of European art in the Caribbean, including works by Rubens, Delacroix and Murillo, as well as works by Puerto Rican artists.